THE Chamber of Mines responded with dismay to reported comments by mines minister, Mosebenzi Zwane, that South Africa’s mining industry was negotiating in bad faith by opposing the Mining Charter in the courts. In an interview with Reuters, Zwane said: “Our doors are open to engagement” and expressed an interest in meeting with mining companies to discuss the Mining Charter. The Mining Charter redraft, its third in 13 years, shook the mining industry for imposing new rules and setting targets that were considered unworkable. Over and above the lack of consultation with the mining industry, the Mining Charter also refused to acknowledge the principle of ‘once-empowered, always-empowered’ which would recognised previous empowerment deals where the black-owned business partner had sold its shares or where mining firm’s sold assets instead of equity in the parent company. The Chamber of Mines consequently said it would apply for a declaratory order on the principle of once-empowered, always-empowered’ in the High Court and would interdict the parliamentary gazetting of the Mining Charter. In his interview with Reuters, Zwane was quoted to have said: “We do not want to go to court. We are a peaceful people.” He added, however, that discussions would not guarantee any changes to the document. “I cannot say the charter will change,” he added. The Chamber was unimpressed. It said it was “perplexed” that the offer of talks had been made just over a week after the Mining Charter was gazetted. “We cannot see that the minister’s comments for the basis for a mutually acceptable resolution of this matter,” the Chamber said in a statement on Friday afternoon. “We certainly object to his reported comment that our intended application for an interdict against the DMR [Department of Mineral Resources] charter is bad faith negotiation. “For the industry, this is a last resort and a consequence of the absence of good faith negotiations on the part of the minister and the DMR,” it said. Zwane was speaking to Reuters at a mining imbizo in Middelburg which ended in chaos as the audience turned hostile Zwane and forced the minister to make an early departure. News24 quoted one man at the Imbizo as shouting at Zwane: “You cannot come to another man’s yard and do as you please”. Zwane’s attendance at the imbizo was intended to be the first of a two-week roadshow in which the Department of Mineral Resources “took the charter to the people”, as described by the minister earlier this week. Zwane and his puppet masters have no intention of debating the charter, but rather simply want to discuss which vested interest group will be given access to feed of the carcas that remains of the mining industry in SA. What he will discover is SA still has an independent judiciary and it has oversight beyond even ministers and our president. They are all answerable to the law, even if they do not think so. Many of his flock will end up in prison again, only this time no liberation movement will release them. Someone must request court to place DMR under administation. The rot has to be stopped. Corrupt officials are issuing rigts over existing rights and no one is doing anything about it. I dont we can place DMR under administration but some opposition party i.e. DA etc… can request that an investigation and audit into the DMR be done – I would have suggested the public protector but unfortunately she has been captured already! 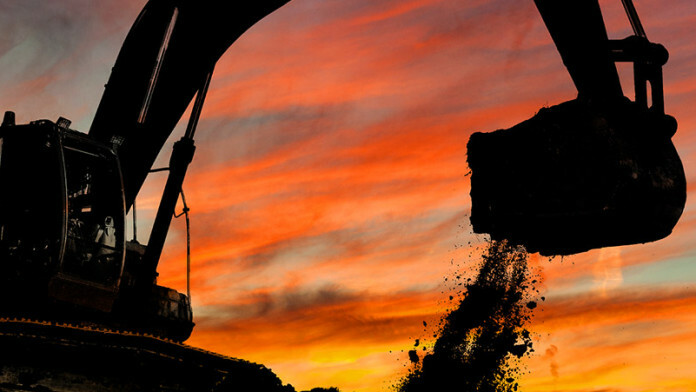 The mining industry is core to South Africa’s economy. Something seriously needs to be done!